After a disappointing season whereby they finished second bottom of the FA Women's Premier League South, Hammers management have taken action and appointed Hammers Legend Julian 'The Terminator' Dicks as new manager. It is expected that Dicks will look to revamp the squad and already a variety of top female hard men have been mooted as potential targets for the ambitious Hammers ladies team. 1. 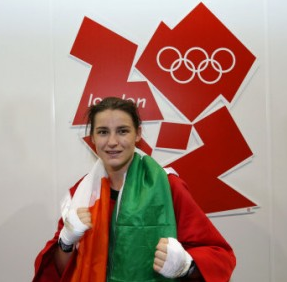 Katie Taylor: Although better known for her accomplishments in women's boxing, after totally dominating her current sport for the past decade, Katie is thought to be open to a move to pastures new. thought to be a possible relative of Hammers seventies legends Keith and Alan, Katie has an affinity with the claret and blue. Moreover, her experience of the Olympic Stadium at the last games will be an additonal advantage as she seeks to add punch to the Hammers attack. 2. Gwendoline Christie - better known as Brienne of Tarth, Gwen would be suited to a Momo-Diame type role as an aggressive and highly physical force breaking from midfield and slicing her way through the opposition defences. In fact, given her recent annihilation of the Hound in Game of Thrones, maybe she could also double up for the men's team? 3. Lagertha from Vikings is rumoured to be an accomplished winger and her skills really caught the eye in a recent episode of Vikings. 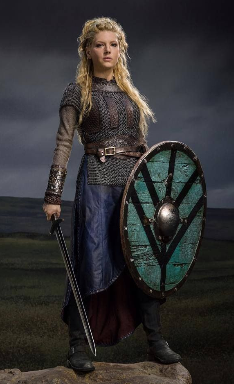 Lagertha also recently demonstrated her capacity to play a lone role up front if circumstances require. 4. Pixie Lott. 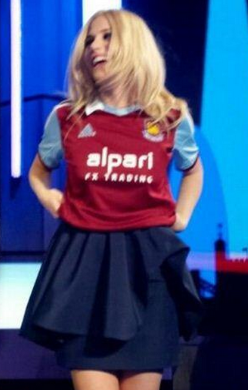 Having already commited her footballing abilities to her beloved Hammers, Pixie's natural style is perfect for the new philosophy at Upton Park wherein Messers Gold and Sullivan have ordered more attractive football in order to bring fans on board as we move to the Olympic Stadium. No doubt new attack coach teddy Sheringham would approve !